We all know how easy it is to run to the doctor and get a prescription for whatever the ailment. Got a cold? Here’s a z-pac. Have a rash? Here’s some ointment that might help for the time being. It’s hard to stop and think about the long-term effects these meds have on our body, but what about finding the root cause of the issue? Body, meet temple. A lot of people know this, but it’s a lot harder to put it into action. We met with Naturopath Dr. Kelly Simms for a two-part interview to learn more about her field. Today we discuss the longterm effects OTC drugs can have on our bodies, recommended vitamins, food sensitivities and 3 things you can start doing right now to live a healthier life. Part 2 includes ingredients to look out for on a nutrition label, how to sort through super foods, "healthy" food that isn't so healthy, Dr. Simms' exercise philosophy, curbing your cravings and more. Can you help explain what a naturopath is? Naturopathic doctors specialize in finding the root cause of a health condition. That means digging a little bit deeper than a conventional medical doctor would (ordering specialty lab tests, talking about diet and lifestyle). Naturopathic doctors are trained in conventional medical diagnosis and treatment, so we actually do learn about prescriptions and surgeries, but our toolbox is a little bit broader. So as opposed to just using those two modalities, we also use nutrition, herbal medicines and supplements in the form of vitamins or minerals to help get to that underlying root cause. I like to call naturopathic doctors trained as family practice doctors that specialize in herbal and nutritional medicine. For anyone that wants an alternative to conventional medicine, we’re a good choice, or if someone fails conventional therapy. A lot of people don't respond well to medicines, or they have a lot of side effects and wonder what else is out there. Then there are people that just don't want the conventional treatment, so they're seeking alternatives and want someone that's well-trained to guide them. A lot of people are self-prescribing supplements that they read about on the internet, which can be fine, but I always tailor a patient’s plan to their bloodwork, to an official consultation. Actually knowing about someone's health history and current symptom picture helps us make a more specific nutrition and supplement recommendation plan for them. Are there any vitamin supplements that you would recommend on a daily basis without knowing someone's history? Just something that everyone should be taking? Vitamin D. That's always low and something that most people should be taking. One reason for that is that it's not found a lot in food. the best source is the sun, and a lot of us are spending a lot of time indoors nowadays, and when we do go outside, we’re wearing sunscreen. Anything over SPF 8 blocks your body's ability to make any vitamin D, so I’ll often suggest first going outside without sunscreen on. Laying out for like 20 minutes will make about 20,000 international units of vitamin D naturally from the sun, and then you can put sunscreen on. The other one I’ll often suggest is fish oil because unless you're eating a lot of salmon, herring or sardines, there are not a lot of good sources of omega-3’s in our diet. What benefits does vitamin D have? Vitamin D acts like a hormone in our body. It has mood-enhancing effects and can enhance your energy, especially in the winter. Seasonal fatigue is sometimes the result of the lack of sunlight, and specifically, vitamin D levels drop in the winter. Immune support. Vitamin D is another thing that you can use to boost your immunity throughout the winter months. What about fish oil or omega-3. What are the benefits of those? Great anti-inflammatory and cardio protective, really good for your heart. Does naturopathic medicine supplement or replace Western medicine? I'm a big believer of both fields of medicine. I don't think any one field has all of the answers, so no it does not replace; they can be used in combination. Supplement. Why should people consider a naturopath or holistic medicine versus prescription drugs for everything? I think that the consideration is if someone fails conventional therapy, or if there are unwanted side effects. I also think that some treatments in conventional medicine don't really get to the root cause, so if someone is interested in figuring out why they're actually having the symptoms. A good example of that is diabetes because we know that diabetes can actually be reversed with dietary changes, so if someone wants to invest the time and effort to do that, naturopathic medicine can be a great alternative because we can talk about dietary strategies that’ll help reverse high blood sugar readings, and we can offer supplements and herbs to protect your kidneys, protect the heart. I think it's a good option for someone when they want to invest the time and effort to do something else. Naturopathic medicine is not for everybody because it does require a lot of work. It's not just a pill you can pop. Some people shy away from medicines and surgeries in general, and they want to come here first before trying a conventional option. It's like, “I’ve been to my primary care doctor and they've recommended I take this antidepressant, but what if I change my diet first and do omega-3 support, or try some St. John's Wort? What if I tried that first?” And then if that fails, then we move on to prescriptions. So it's kind of thinking of it in a different context versus I’m the last resort. Well, what if I’m the first resort, right? And then we try other things. Are there long term health effects that prescription drugs could have on your body? Yeah, certainly, it depends on the medicine. One example would be proton-pump inhibitors, medicines that are for heartburn, like Prilosec for example. Prilosec inhibits stomach acid, that's why it relieves the heartburn sensation, but one downstream effect of that is lack of absorption of B-12. It can also affect calcium absorption, so over time, if you're not absorbing your calcium and B-vitamins, that can result in bone issues and metabolic issues down the road. What about food allergies… What are some symptoms people might feel that could tip them off that they have a food allergy? There are a lot of symptoms. First I'll clarify allergies versus sensitivities. Allergies are usually things that someone knows they have. There’s usually some throat swelling, wheezing or hives that immediately develop upon ingestion of that food. Sensitivities are things that we don't always notice that immediate reaction, so it's hard to say what foods in our diet are causing symptoms, so the symptoms can be really broad. Cases where I always think about food sensitivity would be skin issues like eczema, psoriasis, dermatitis. I've seen eliminating food sensitivities really helps with clearing up people's skin. Also, inflammatory bowel diseases like Crohn's or Colitis, where we know there's inflammation in the gut, so let's take out those pro-inflammatory foods. Other cases would be mood issues, anxiety or depression. Sometimes I'll think about it in weight-loss cases too. Any time you know there's a pro-inflammatory component, which is a lot of different conditions, I'll think about doing a food sensitivity test. It's interesting, once people remove that group of foods from their diet, they often feel better, and then they'll challenge those foods down the road and be able to notice that more immediate reaction. It’s a good test to do for people that want to learn more about what foods they could potentially have a slight sensitivity to because with the challenge, the goal is to not live a restricted diet your whole life but be able to have these foods now and then while knowing, “oh this might cause a flare in my skin” because you're able to notice that more immediate correlation once you’ve been without the food for a while. That's how I suggest doing a food elimination plan is to do this test, eliminate allergies, eliminate sensitivities for at least 30 days, and then you can challenge the foods and see if you notice a more immediate reaction. 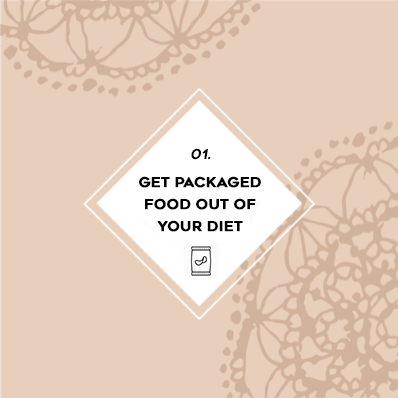 Some people don't and some people do, and nonetheless, with that information you're always conscious of the amount of those foods that you intake. Do food allergies cause more serious conditions if they aren’t caught? Potentially. You can't cite exactly what would happen, so I guess it might be a progression of disease where someone could be managed on one medicine and maybe need multiple medicines to control the level of damage, or maybe that would mean a surgery in the future. I've had a few patients where we’re able to maintain them even on their medicines, so they’ll stay on the same medicine while following the food elimination plan and their disease is not progressing. I just think of this as uncovering the potential root cause. Always start with food, start with the gut. What are three things people can do right now to lead a healthier lifestyle? Shop the perimeter of the grocery store because that's going to be whole unprocessed foods. I think busy, successful women in particular, especially those with families, often put themselves at the bottom of the list, whereas I like to tell women to move self-care to the top of the list. Self-care can mean going somewhere to get a pedicure or just reading a book by yourself for an hour, just something that really feeds your soul emotionally. So much of our lifestyle nowadays is based on virtual connections and computers and things like that, and really connecting with yourself or your loved ones is really important to do on a regular basis. So I guess my look is doing the physical body right with exercising and what you're putting into your body and then also your mental, emotional health. Look for part 2 of this info-packed interview next week!